Below are some of the most frequently asked questions about our offerings for our 360º Service Portfolio. If you do not find any answer to your question, please contact here. If there are already people onsite who can do the job, why use Alfa Laval staff? As every installation site is different, the experience of Alfa Laval staff will ensure proper fast and professional installation, including practicalities for maintenance access later on. The Alfa Laval Staff can prepare for the commissioning ensuring that the total installation time will be as short as possible. Subcontractors will install the equipment, why is Alfa Laval needed to perform the commissioning? Alfa Laval can perform Cleaning Services and Re-gasketing services on site, but a full Reconditioning will only be performed at a Service Center. How long does it take to conduct a service? What happens if you wait until equipment breaks down rather than fixing it before? Can Alfa Laval suggest how to minimize downtime and lost production during maintenance? In the unfortunate circumstance that the equipment brakes down, Alfa Laval can provide Troubleshooting as well as Repair. Since this is a more expensive solution, Alfa Laval always recommends to follow the suggested maintenance schedule for the equipment and only use original spare parts. Alfa Laval has a global coverage of spare parts with distribution centers located around the world. To mention some, Alfa Laval has spare part centers in China, Singapore, India, Sweden and the US. Minor stock are also kept at some Alfa Laval sales companies. Which parts are kept in stock? Will Alfa Laval stock specialized products? My equipment is brand new on the market, will Alfa Laval have spares for it? Generally speaking, storage of rubber parts should be avoided because rubber parts age while in storage. Who will conduct the training onsite? Will the operator be certified after the training? How can an Alfa Laval troubleshooter be contacted? How fast can the troubleshooter be onsite? 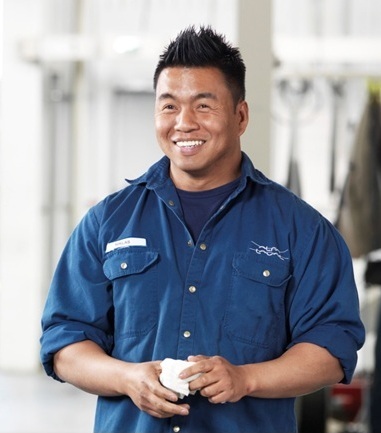 Alfa Laval troubleshooters work 365 days-per-year and 24 hours-per-day. The nearest troubleshooter is always found – depending on the issue and urgency – and sent to the site as soon as possible. What upgrades can be applied? Can Alfa Laval improve every separation process? Which equipment benefits from an Alfa Laval Performance Audit? Can this service be included in an Alfa Laval Performance Agreement? How can the equipment uptime be increased?